Our relationship with the German kitchen manufacturer Bulthaup, dating back to 1989, is based on a shared passion for design and craftsmanship and the continuous pursuit of well-being. 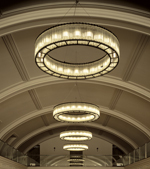 This affinity has led to several collaborations, the most recent being the reopening of Bulthaup's iconic Mayfair showroom in London, which is now 30 years old. Bulthaup chose Santa & Cole and the wooden floor company Dinesen, giving priority to high-quality natural materials in the remodelling of the premises. 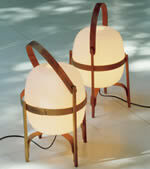 Miguel Milá’s majestic Estadio lamp was chosen to grace the entrance to the showroom. 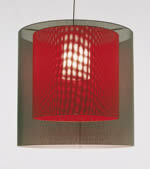 An iron ring of light originally conceived for the 1992 Olympic Stadium in Barcelona offers warmth and sophistication. 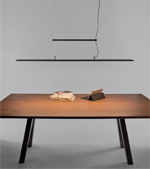 In the dining rooms, two works by Antoni Arola were chosen: Moaré, a series created in 2003 whose name comes from the optical effect of its superimposed cylindrical shades; and BlancoWhite Golden Gate, a height-adjustable lamp of geometric shapes that is very suitable for large tables. A warm atmosphere is created for the b3 kitchen model by the subtle Cirio Múltiple hanging lamp, a simple structure with porcelain shades crafted in Sargadelos, Galicia, Spain. 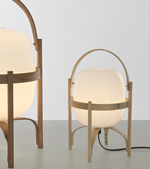 The table lamps Cesta and Cestita by Miguel Milá complement the various spaces, generating harmony and interesting points of light. 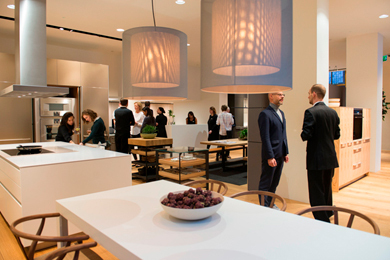 We celebrate with Bulthaup and their friends the reopening of the showroom and its 30th anniversary.